International restaurant with Cretan overtones. The impressive Minoan decorative influence with murals from ancient Knossos are beautifully detailed. Start the day with a hearty hot buffet breakfast or pop into the Fitness bar or Cretan corner for healthier and traditional options. Lunchtime sees endless buffets from soup, main courses and desserts to crunchy farm-fresh salads. 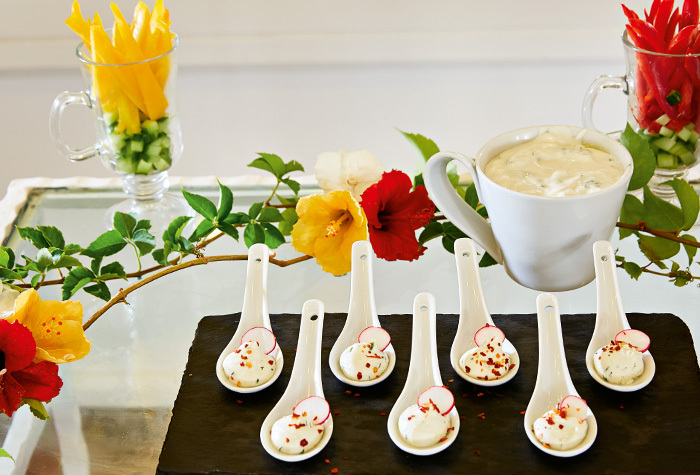 An exciting culinary experience for all the family with themed buffets each evening offers a wide selection of hot and cold dishes to satisfy the biggest and smallest appetites. 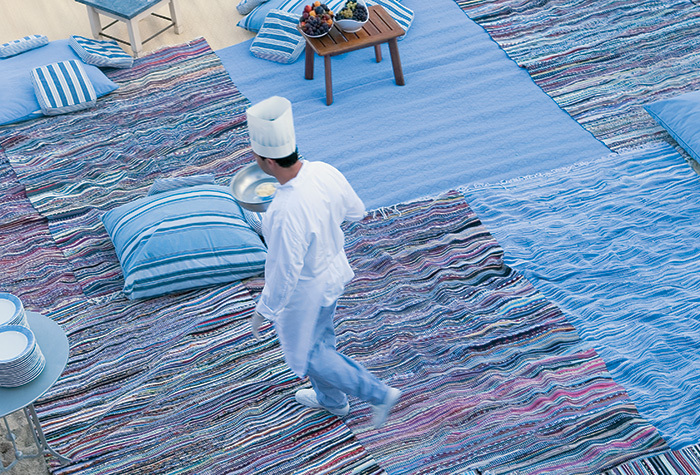 The culinary journey starts in Crete and extends to the rest of the world: Greek, Mediterranean, Italian, Asian. Sample it all! And because it’s the Aegean, there’s also seafood, of course. 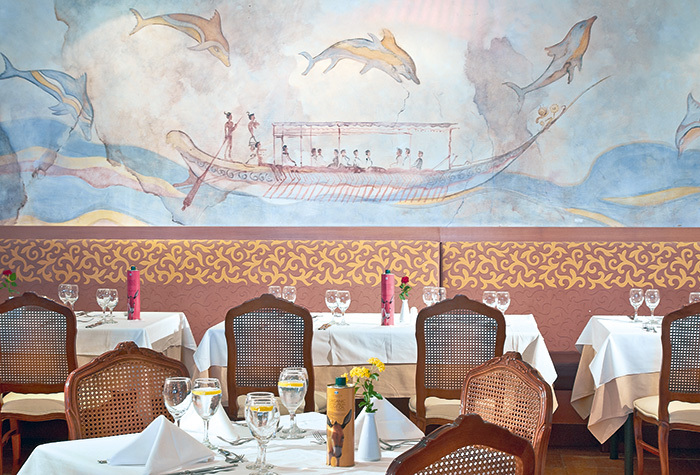 The Club Marine Palace Main Restaurant caters for younger guests, with kids’ buffets and early dinners. It serves starters, soup, main courses, salads and desserts. 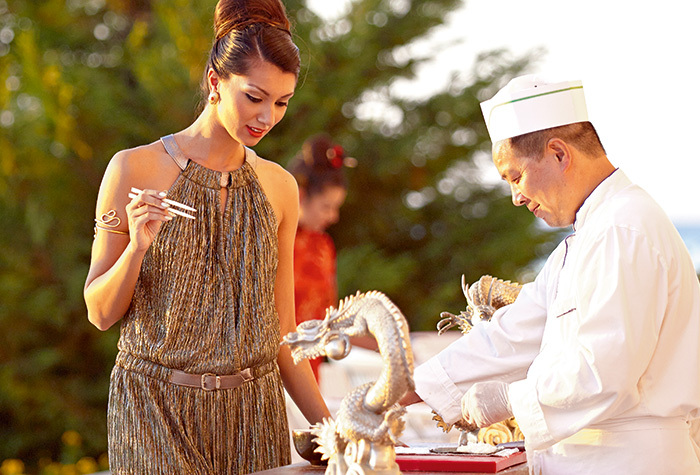 The Resort’s Asian-inspired eatery with creative Oriental cuisine. 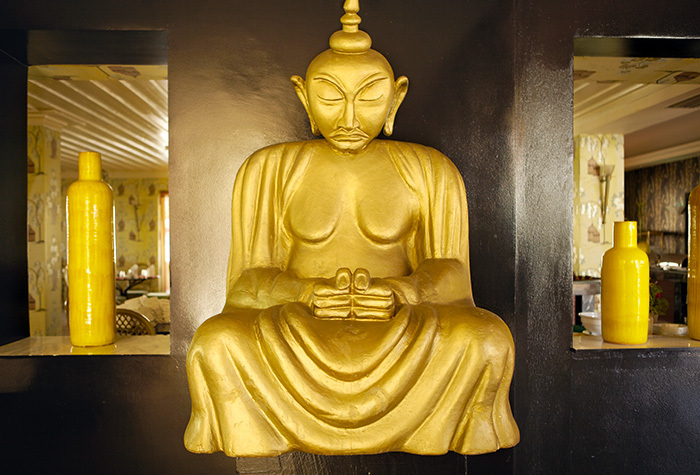 Enjoy the delicious flavors of the Far East in the al fresco dining area or around the impressive black rotundas indoors under the eye of a huge golden Buddha. There are also Asian delicacies for the little ones. 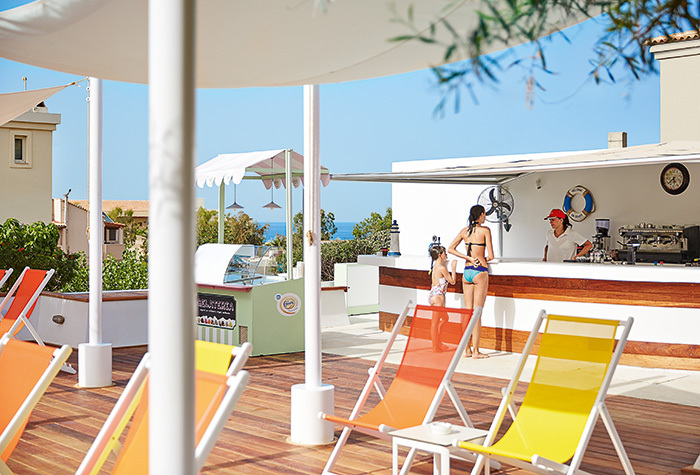 Many of our most loyal guests at Red Moon are children—a tribute to the family-friendly atmosphere of the Grecotel Club Marine Palace & Suites. Enjoy selected national and international wines (at extra charge). Dinner: 19.30-21.30. 6 days per week. High Season. Depending on weather conditions. The restaurant serves breakfast for guests staying at Marine Palace Suites. 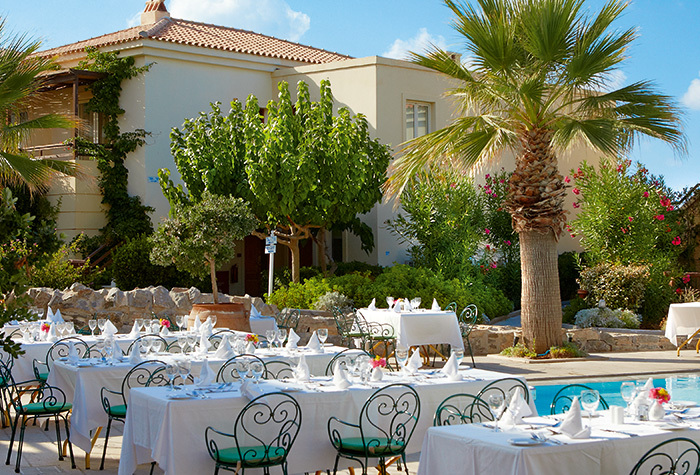 A poolside restaurant offering an excellent selection of Italian dishes with Greek overtones. 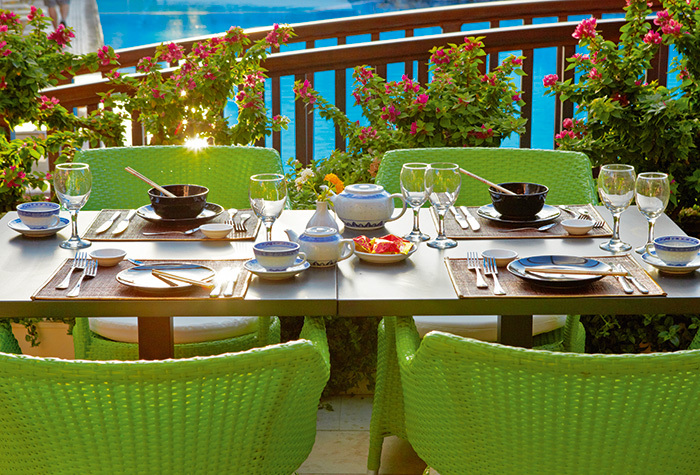 Casual vibrancy spills onto a terrace for lavish dining al fresco. Riviera serves Italian fare ranging from delicious pasta dishes and antipasti to authentic pizza at a lunchtime self-service buffet. After sunset, Riviera evolves into an exquisite a la carte venue with the unmistakable range of flavors of the Mediterranean. 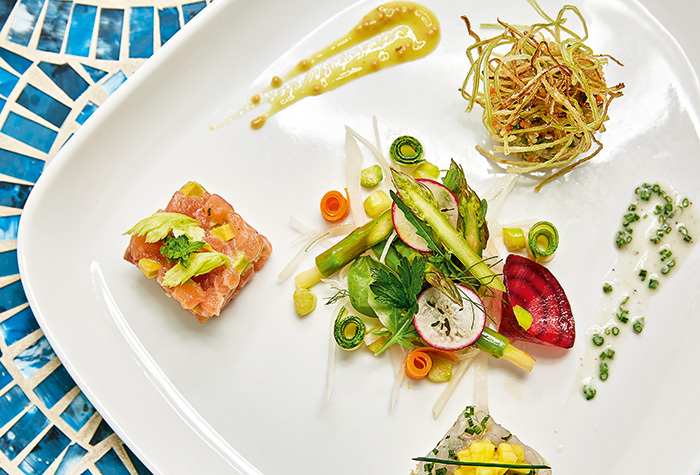 Nothing tastes quite as good as fresh seafood served at its simple best. 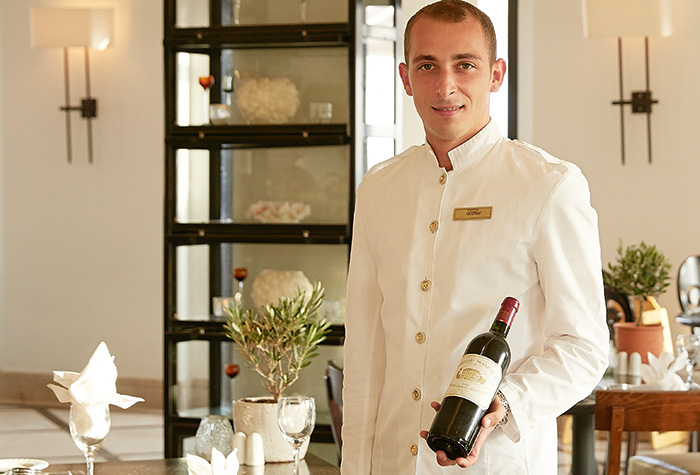 Enjoy selected national, Italian and French wines (at extra charge). Lunch: 12.30-14.30. Self-service buffet. High Season. Dinner: 19.00-21.30. 6 days per week. High Season. Reservations required. Depending on weather conditions. A Greek Taverna experience that serves up a mouthwatering selection of traditional dishes with equally breathtaking views over the Cretan sea. 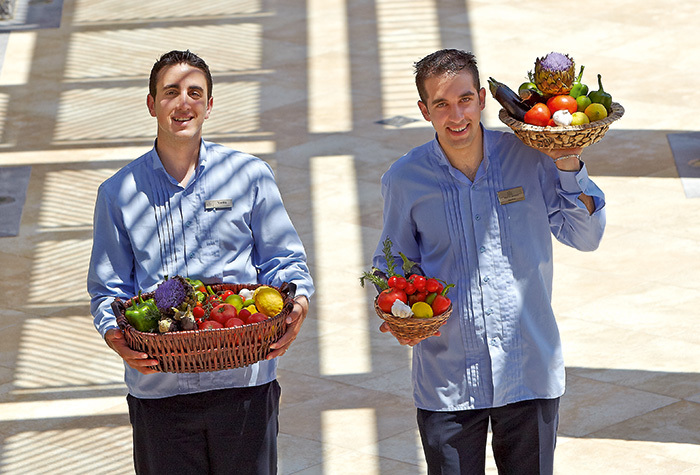 Indulge in fresh-picked salads, an array of appetizers, cheeses, and traditional dishes. Don’t miss the spit-roasted lamb and pork. 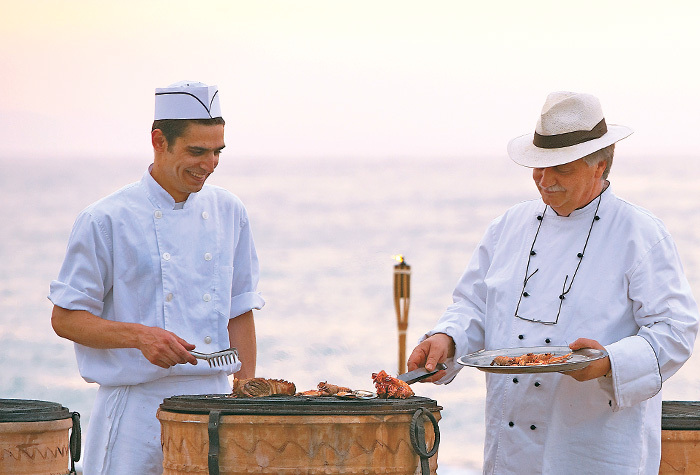 Sample the antikristo—lamb roasted in the traditional Cretan manner placed across rocks around the hearth and the mouth-watering kontosouvli and other succulent meats grilled on the spot. 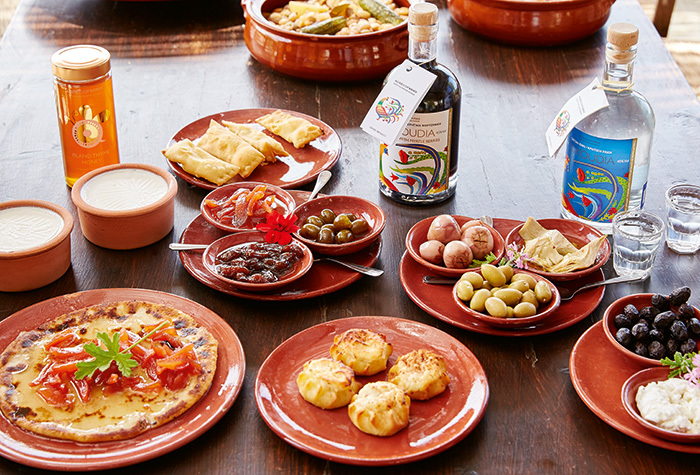 Enjoy the incredible selection of desserts including the honey-drenched pancake-like Sfakiani pitta and lychnarakia, home-made sweet pies with mizithra cheese. When the sun sets and the stars come out, enjoy some outstanding Greek dishes a la carte freshly cooked to order in a way that only locals know how. The ideal place to spend time with family and friends. After sunset, get together at the Barbeque by the Beach. 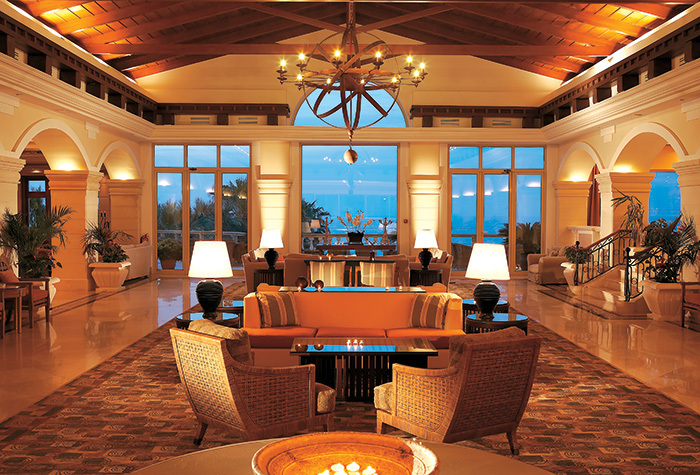 Enjoy the laid-back ambience, breathtaking sea views, and the fun of self-cooking under the stars. Relish succulent meat cooked to perfection accompanied by home-grown salads and vegetables. Self-service barbeque: 19.00-21.00. 6 days per week. High Season. Depending on weather conditions. Maximum participation: 20 persons. 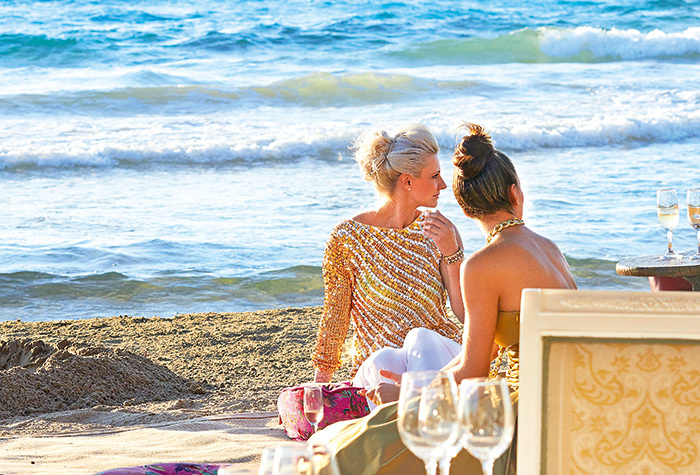 A place to meet and enjoy the spirit of the Club Marine Palace from a seat of luxury. 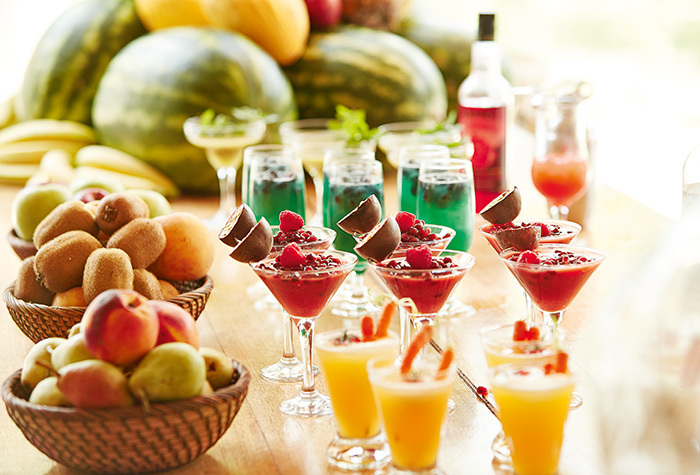 Enjoy fine wines, cocktails, beverages while sampling succulent snacks. Operating Hours: 17.30-01.30. This lively all day venue is the ideal place to meet people and have fun with cocktails, cold beverages and light fare. Operating hours: All Day Fun Self Service Station: 10.30-18.00, Brunch: 11.00-12.00, Snacks: 15.30-17.00. An all-day summer fantasy serving up unlimited refreshments from an eclectic selection of beverages, coffee and exotic drinks. Located by Bamboo Nero at Marine Palace Suites. Operating Hours: All Day Fun Self Service Station: 10.30 – 18.00. 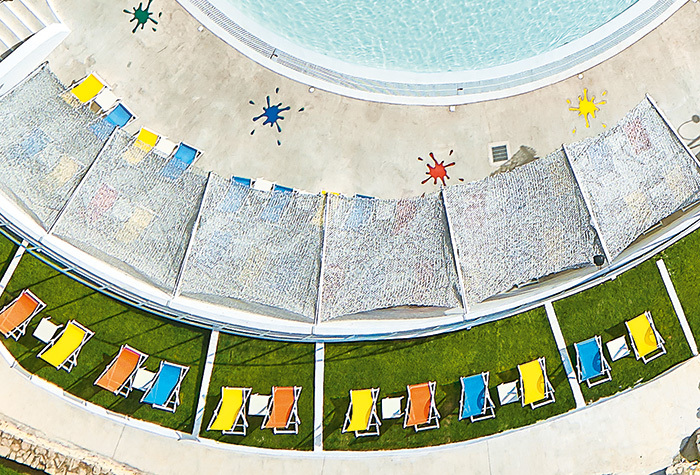 Families at the Aqua Park – Kingdom of Poseidon relax and unwind in this all day laid back venue offering a wide selection of palatable snacks. Operating Hours: 12.00 – 17.00, Self Service Station with coffee and refreshments: 11:00 – 18:30.